C These show the Classification Society (Lloyd’s Register) that “classes” the ship. Other ships may have the letters A B (American Bureau of Shipping) or N V (Det Norske Veritas) or the initials of other Classification Societies here. Classification Societies will be covered during your Maritime Economics course in Grade 12. 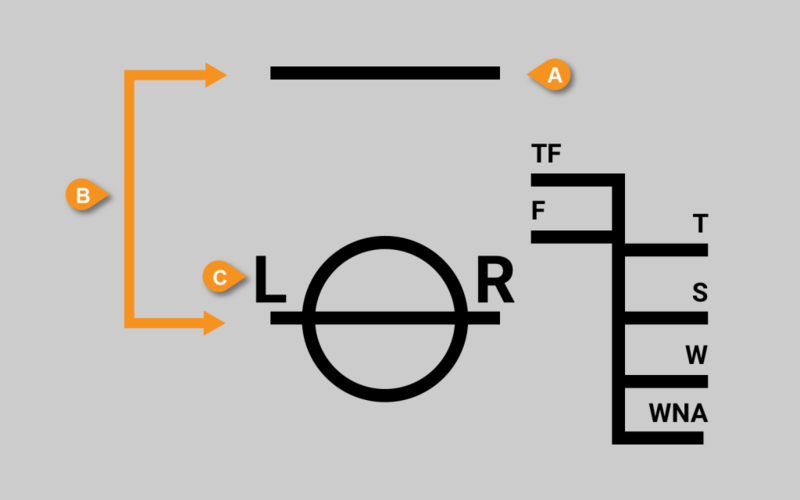 The black letters shown in this diagram indicate levels to which the ship may be loaded when operating in specified areas. These are internationally agreed areas that are fixed according to either water density or the general weather conditions in each area. Seasonal weather is also taken into account, especially in those area where conditions experienced in summer are very different to those in winter or in a cyclone season. S Summer : Summer zones are marked on a special map of the world according to the general weather conditions experienced. The entire South African coast is a designated Summer Zone, even during winter! W Winter : Winter zones are marked on a special map of the world. These are zones where stormy conditions can occur at particular times of the year. WNA Winter North Atlantic : The northern part of the North Atlantic Ocean in winter and in some areas of the Southern Ocean. These are areas where severe stormy conditions are experienced regularly.